Olivia Demetriades of Winter Park, Florida, entered the L train, balancing her phone and notepad as she headed for a corner of the noisy train car. A source for her trend story was available only during the ride back from Chicago, and she had to conduct the interview on the train. 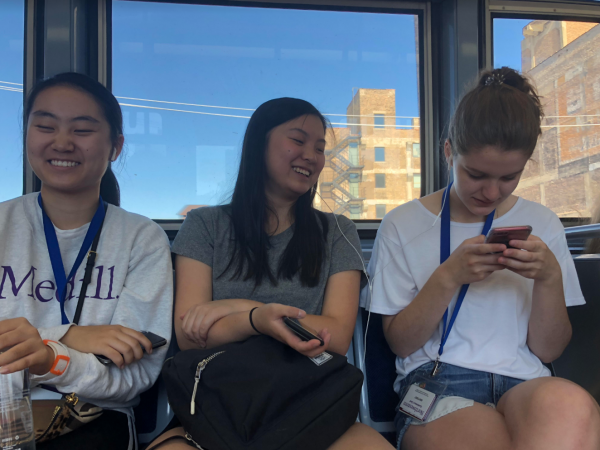 Demetriades was not the only cherub who had an unconventional experience on the “L.” Although cherubs used the train only for Chicago field trips, they had a variety of experiences during their time in transit. Yalda Khodadad of Los Altos, California, said a stranger was talking to her about how she plays piano and went off on a tangent about voice lessons. Other cherubs echoed her advice for dealing with friendly strangers. Cherubs didn’t have unusual stories only about strangers. Ilana Arougheti of Cherry Hill, New Jersey, said she was momentarily separated from her group after a Cubs game. She said she stayed calm and continued to the train station but almost got on the wrong train. Soon after, she found her instructor group. She said this experience taught her a lesson. “For future cherubs, I would advise you to buy your drinks at the stadium, because it gets really chaotic outside Wrigley Stadium after a game,” Arougheti said. Cherubs also used the train ride to catch up on their sleep. 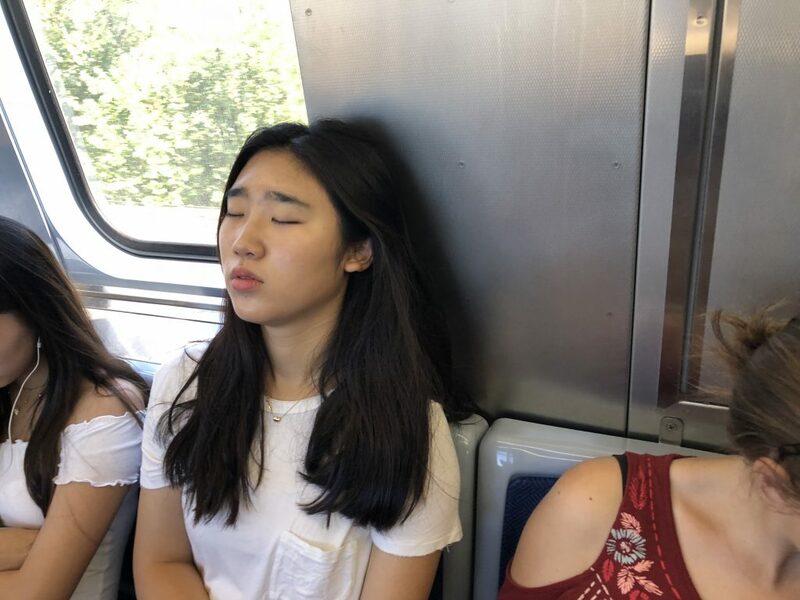 Jenny Huh of Rancho Palos Verdes, California, said she fell asleep on the train twice and would recommend it to others, as long as they’re in a group. However, Huh said that one of her naps almost caused her to miss an interview scheduled for the train ride. She said she would avoid doing an on-the-L interview if possible, because it made her anxious.